Product prices and availability are accurate as of 2019-04-18 23:03:47 BST and are subject to change. Any price and availability information displayed on http://www.amazon.com/ at the time of purchase will apply to the purchase of this product. JustBabyTeethers.com are proud to offer the fantastic Kathe Kruse 5" Wooden Ring Rattle Plush Toy, Hedgehog Paul. With so many available right now, it is wise to have a brand you can trust. The Kathe Kruse 5" Wooden Ring Rattle Plush Toy, Hedgehog Paul is certainly that and will be a great acquisition. 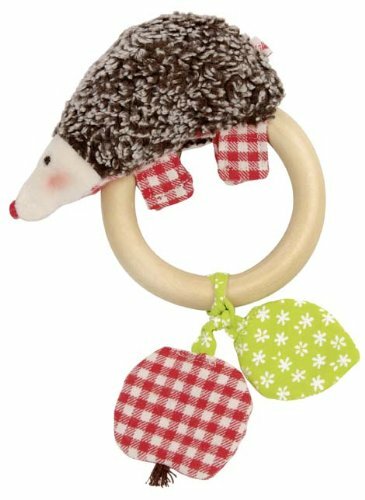 For this great price, the Kathe Kruse 5" Wooden Ring Rattle Plush Toy, Hedgehog Paul is highly recommended and is always a regular choice for many people. Kathe Kruse have provided some great touches and this means good value for money. Kathe Kruse's 5'' Ring Rattle Toy, Hedgehog Paul is soft, fuzzy and fun to handle. 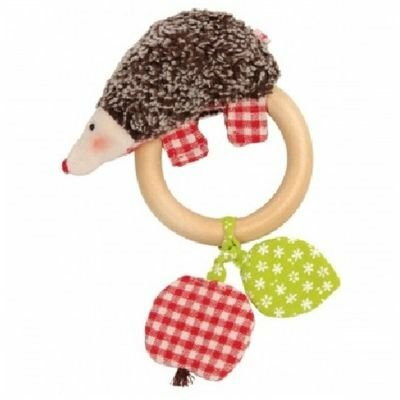 When baby shakes Hedgehog Paul, the rattle makes a gentle sound. The smooth beech wood ring is fun to chew on and soothing for a teething baby's gums. Two small gingham fruits dangle from the ring, to add tactile interest. The Hedgehog Paul toy is perfect for children 3 months and older. The wooden ring can be removed for independent play. Kathe Kruse has a long tradition of making dolls and toys that encourage creativity, foster learning at the child's own pace, and promote cooperative play. All Kathe Kruse products are made with handcrafted details.